Lead artist working on 'Rule of Thumb' social justice programme. Creation of new work with women who have suffered domestic abuse. 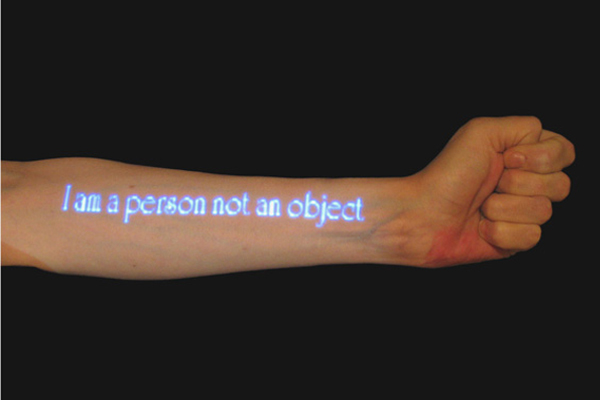 'Illuminating Thoughts' was a series of photographs of projected text onto participants bodies.